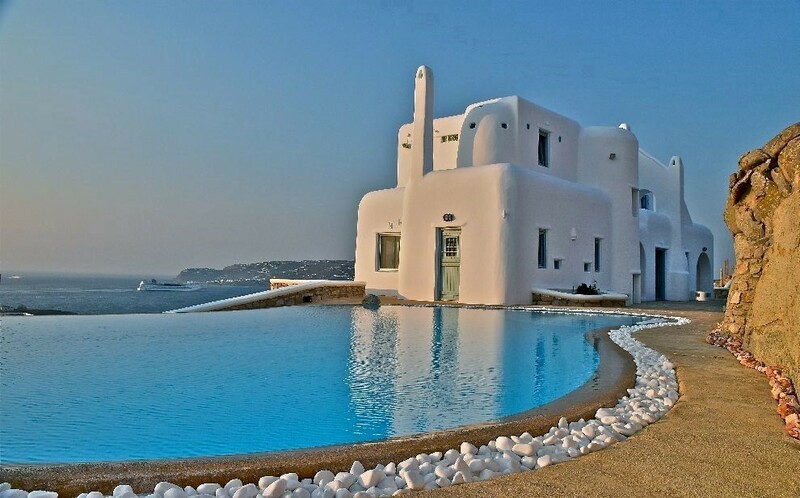 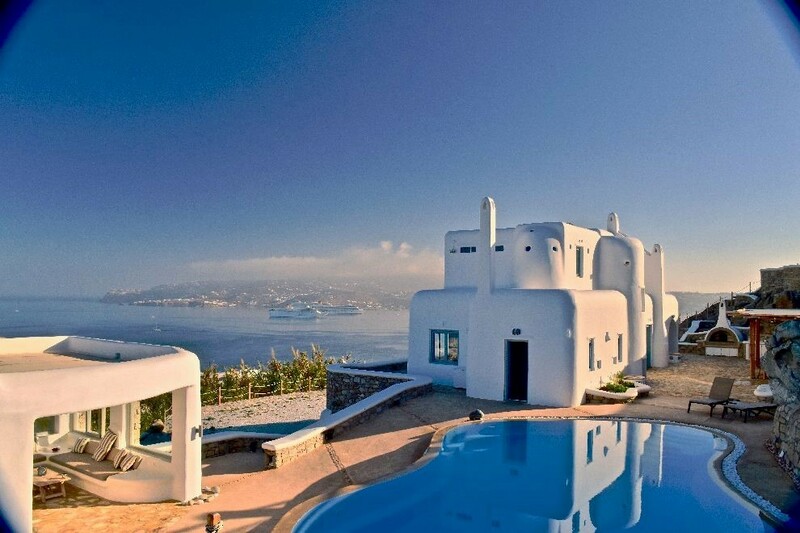 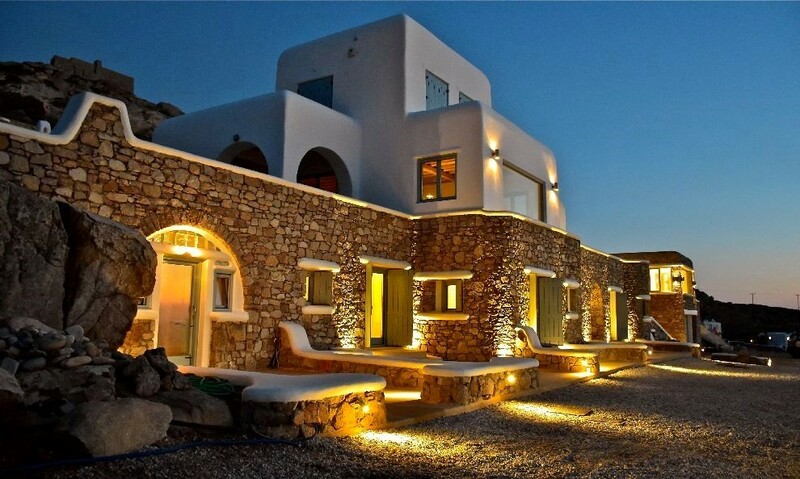 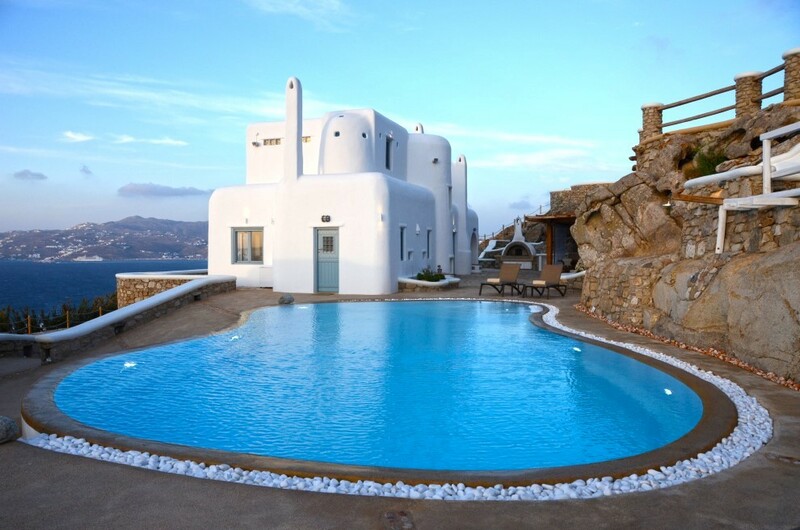 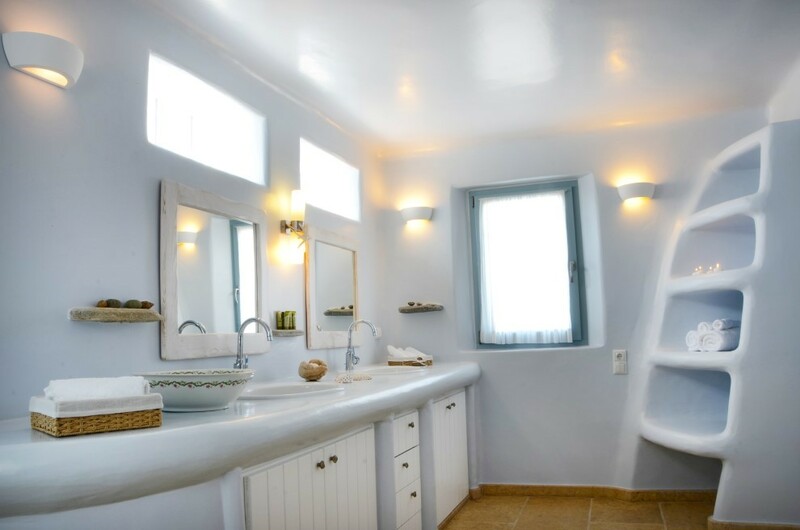 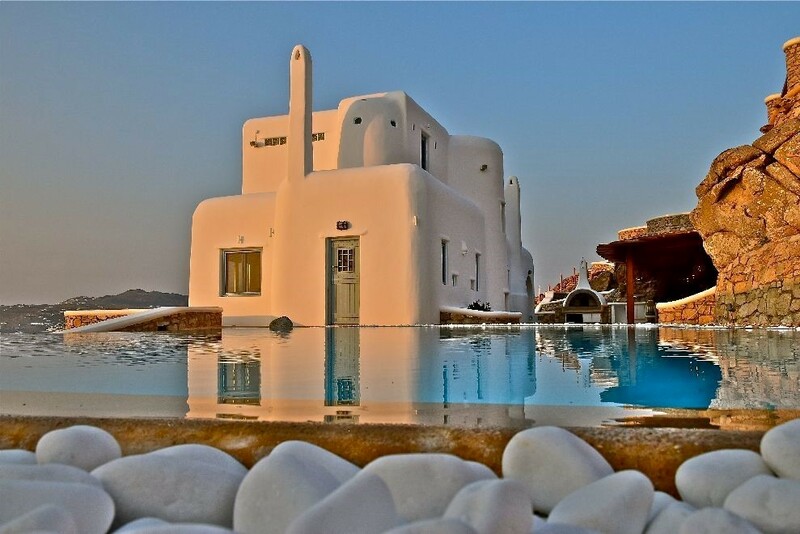 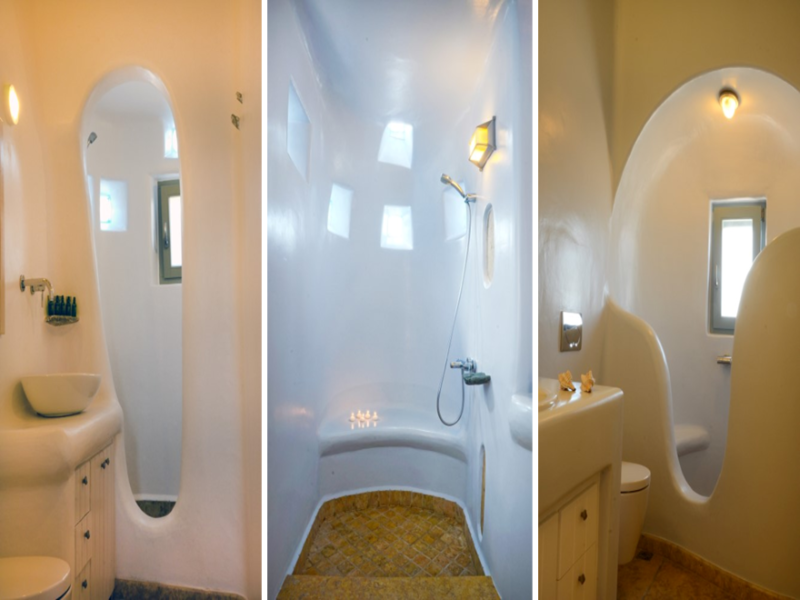 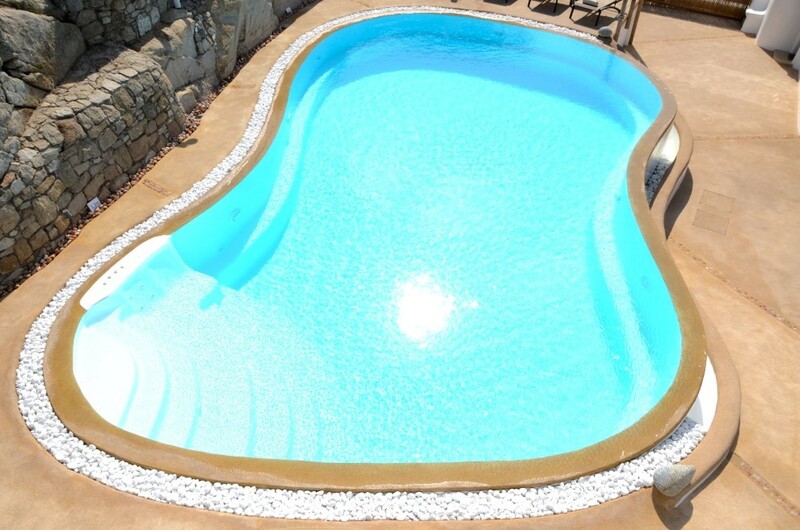 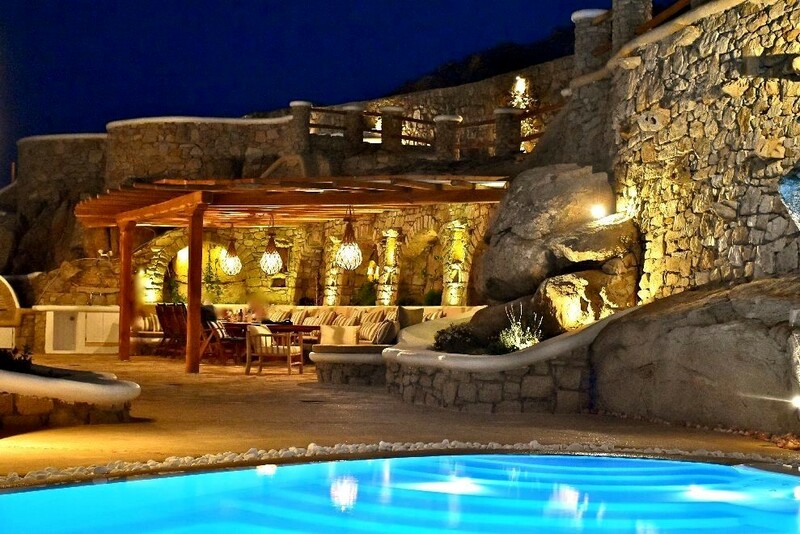 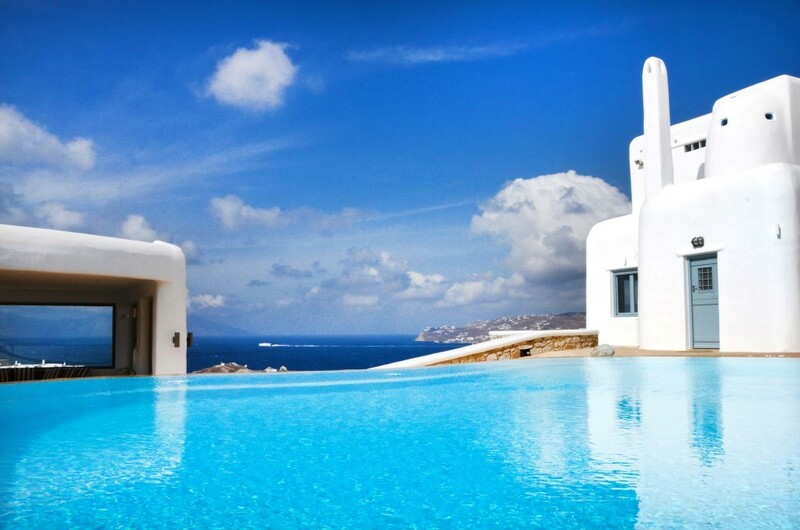 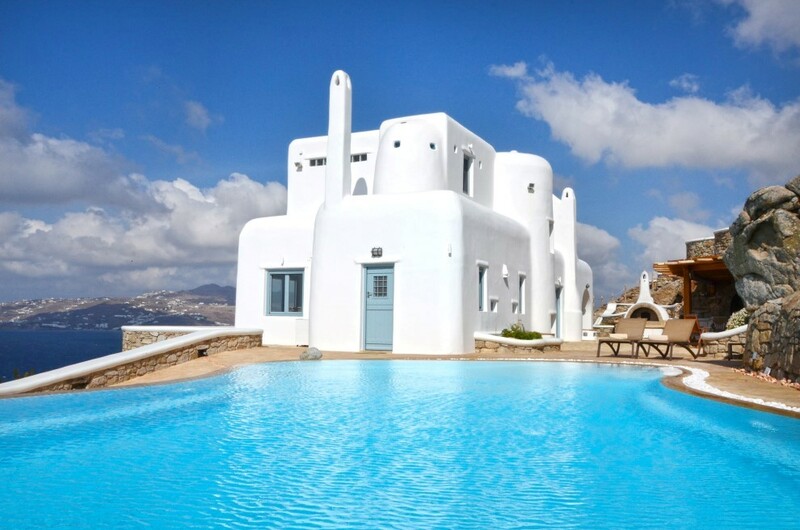 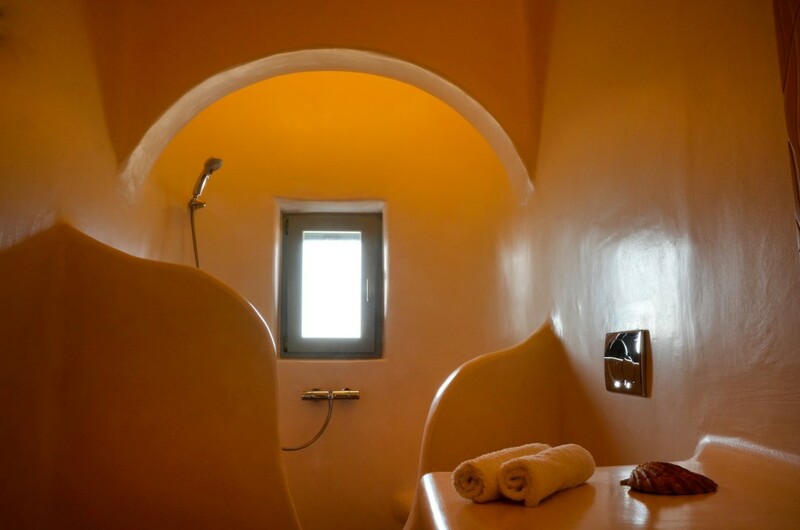 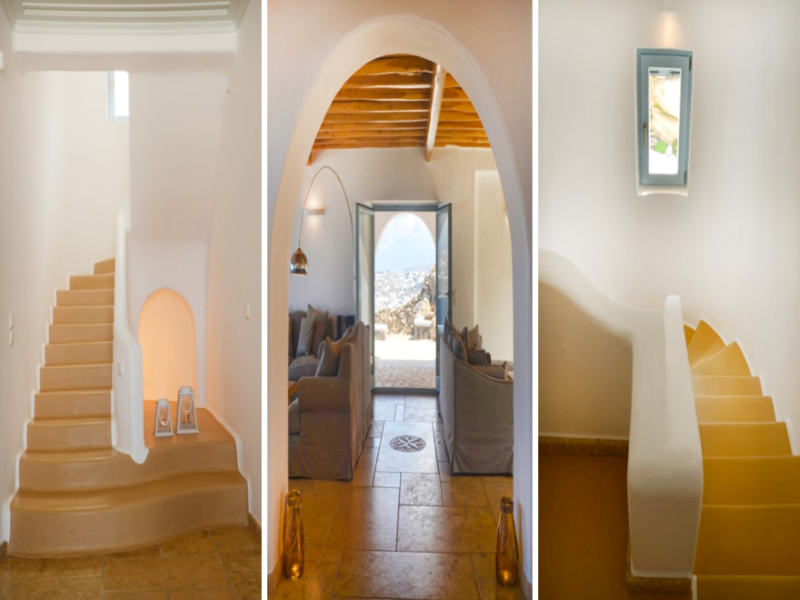 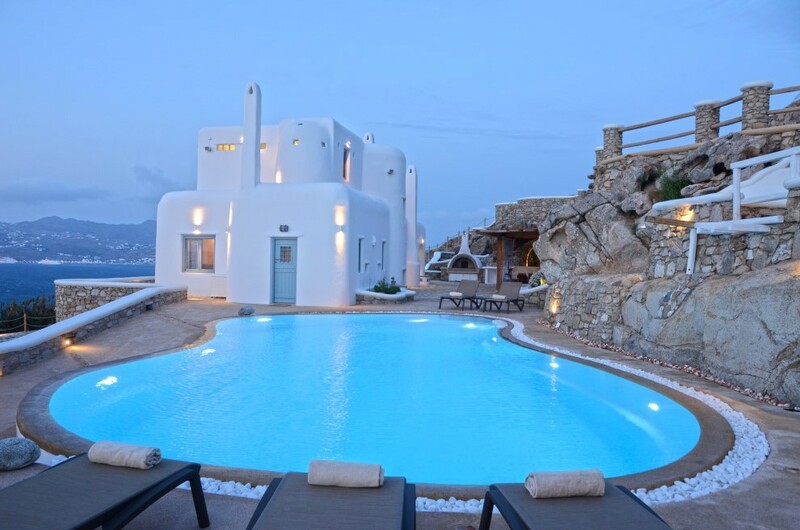 The unique Villa Erossea is located in a distinguished, amazing area of Mykonos, Kanalia. 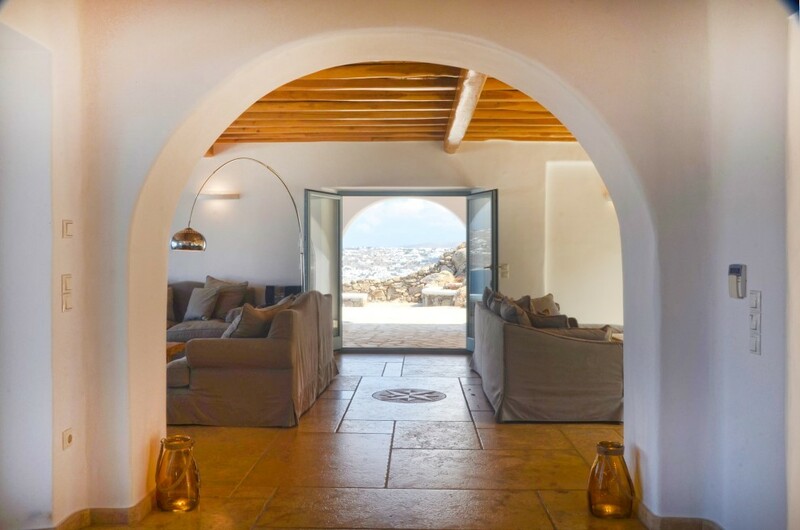 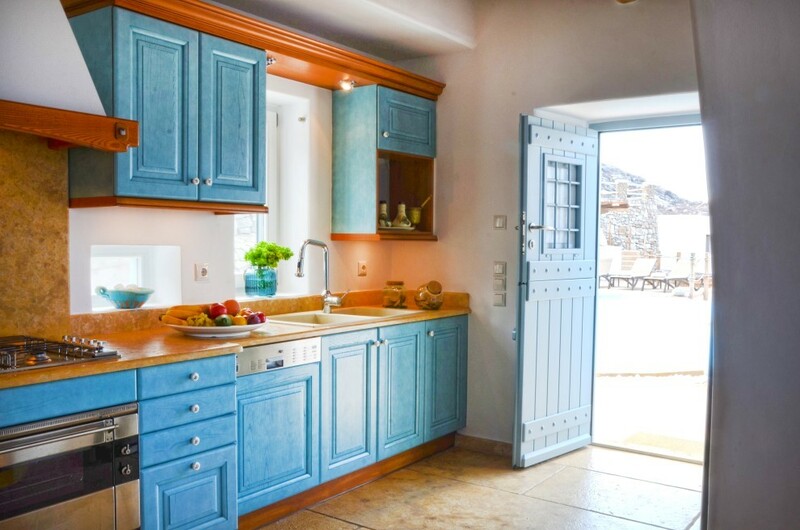 The lovely villa provides an extraordinary view of the majestic Mykonos Chora and at the same time offers easy access to the town and Ornos beach. 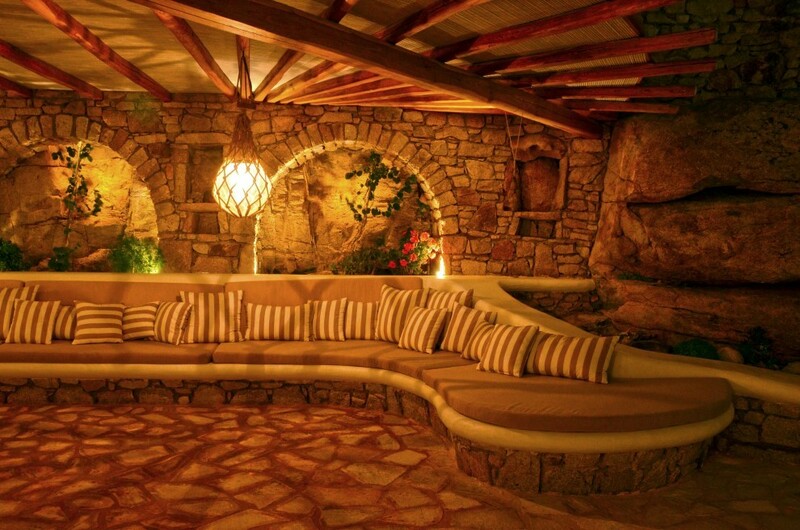 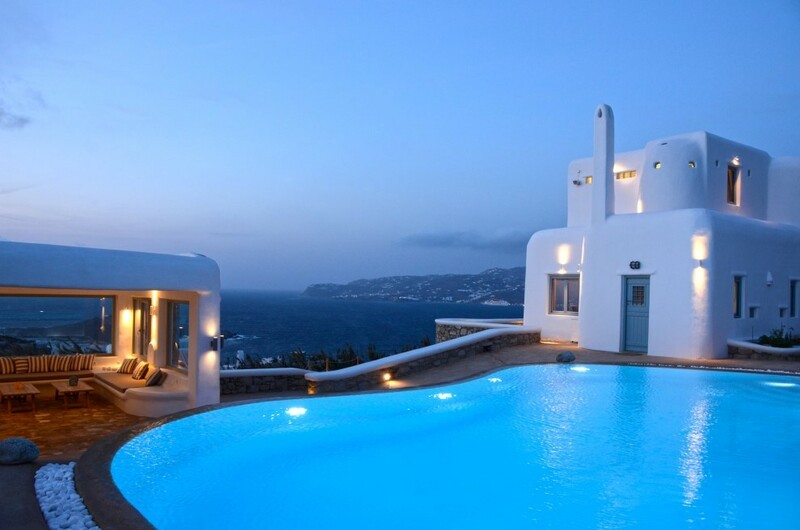 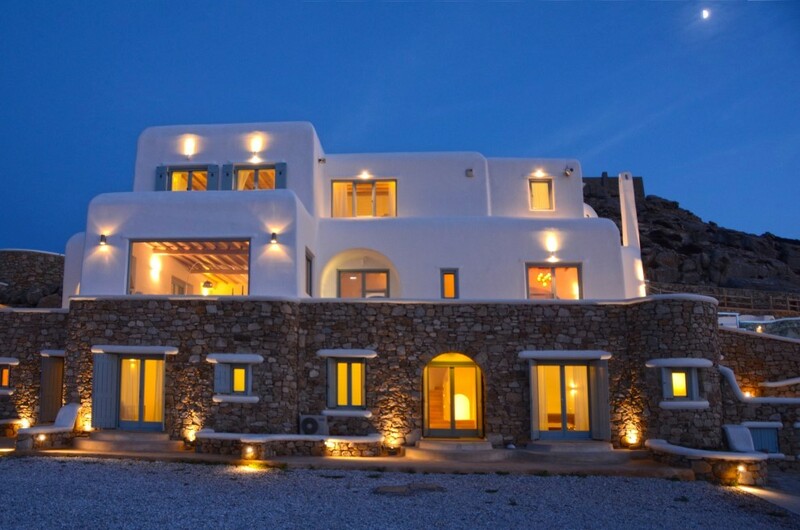 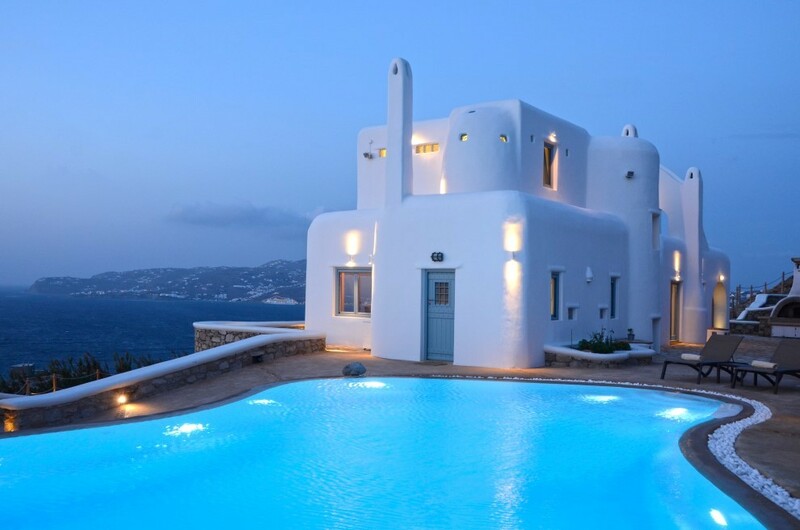 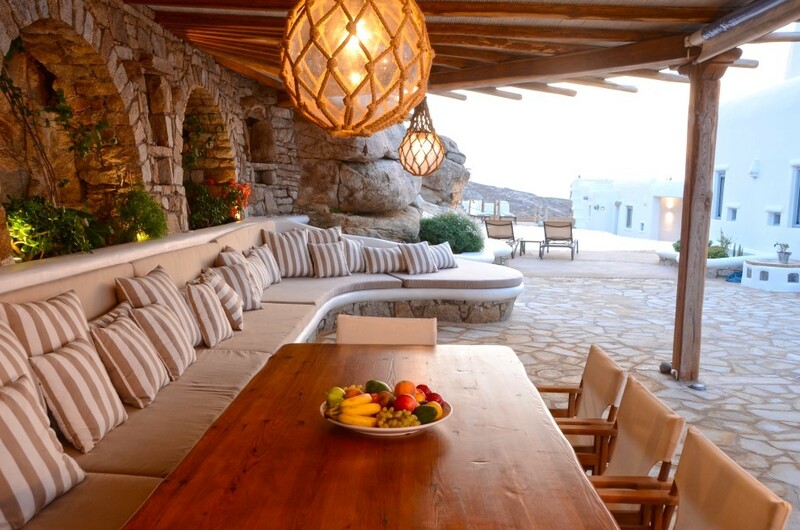 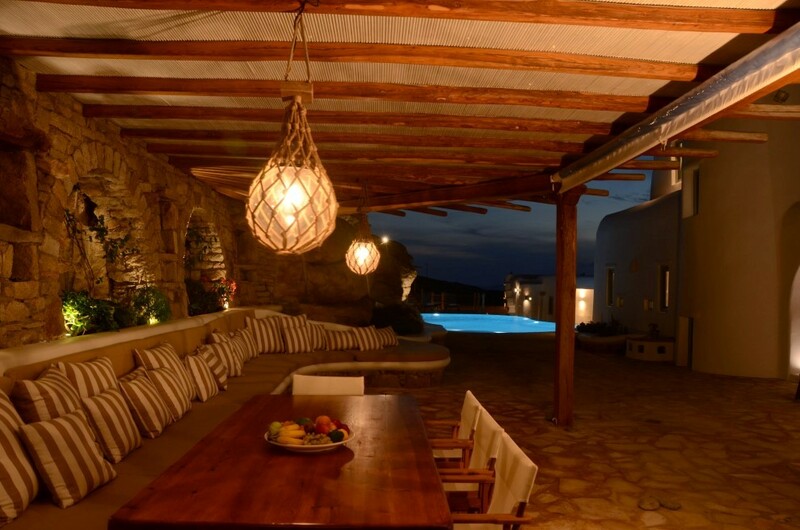 The elegant villa provides comfort and lavish experiences, unique even for the island of Mykonos. 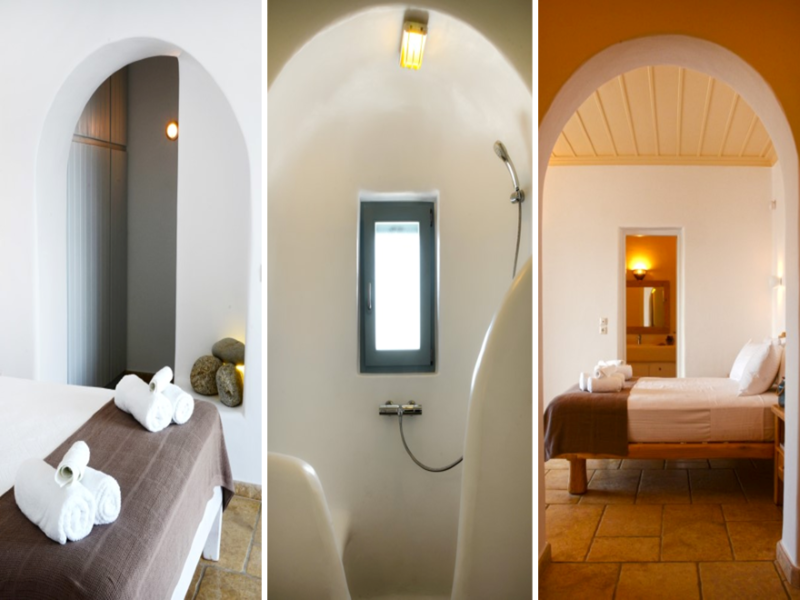 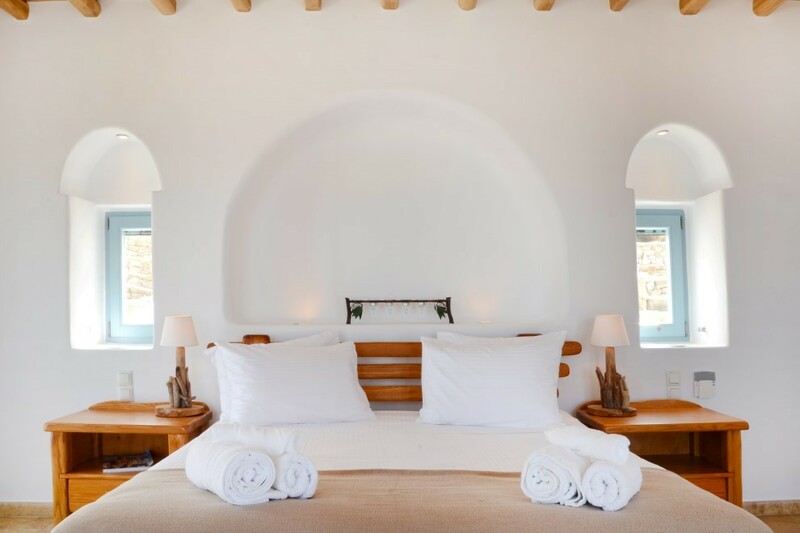 The perfect spacious bedrooms of Villa Erossea are equipped with gorgeous and cozy double beds and stunning en suite bathrooms. 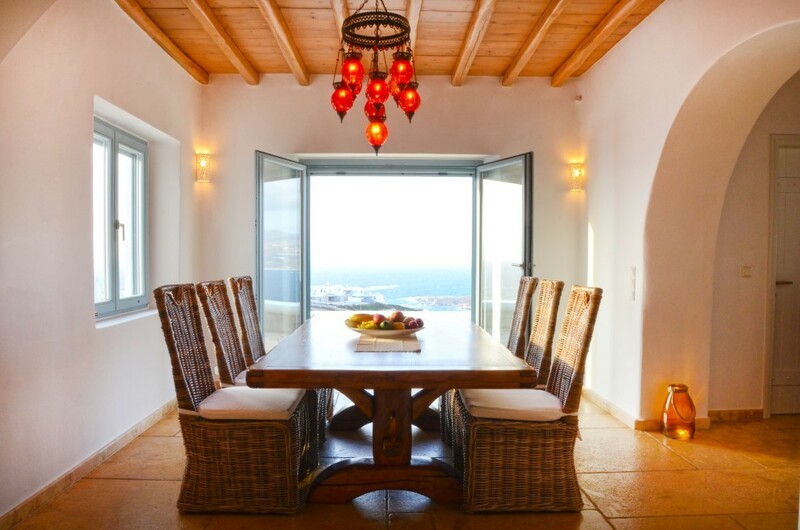 The contemporary touches, in the Cycladic architectural style are evident and the combination of wooden furniture creates a modern and beautiful surprise. 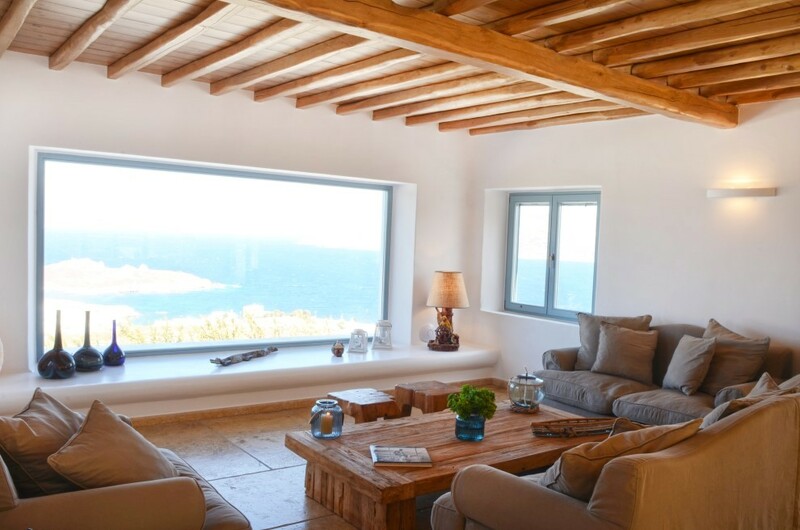 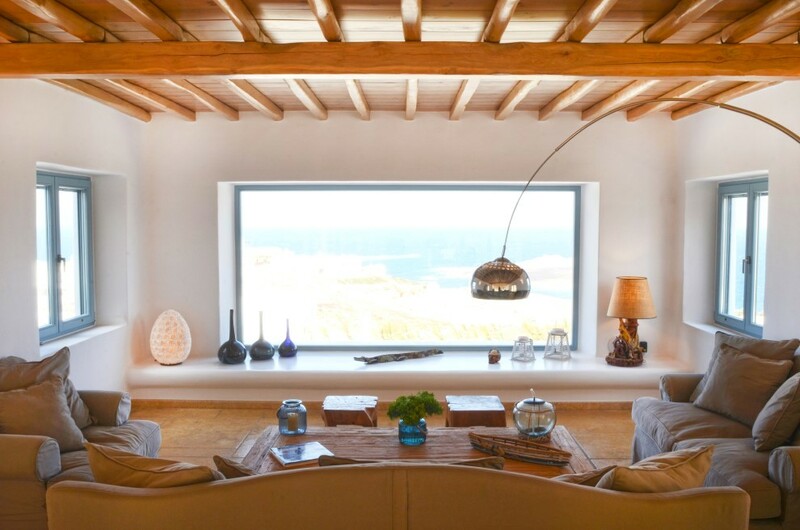 The wide windows offer an exclusive view of the island and the Aegean Sea, even from the interior of the house, which will create a serene environment for your absolute enjoyment. 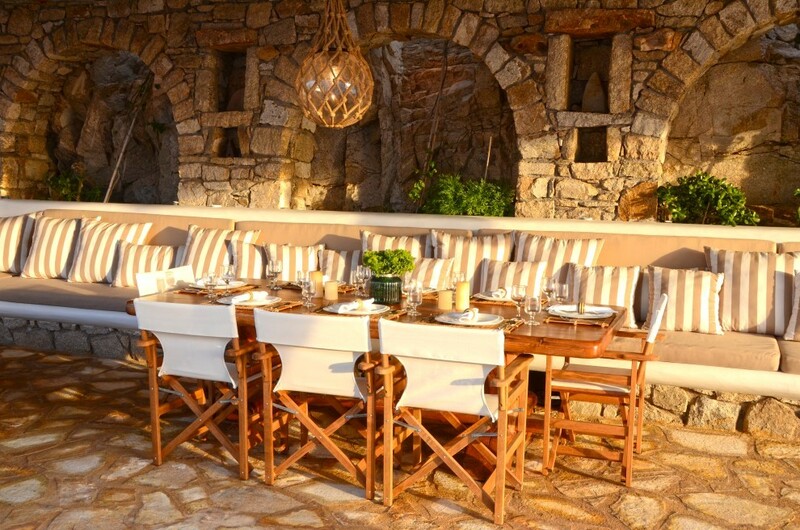 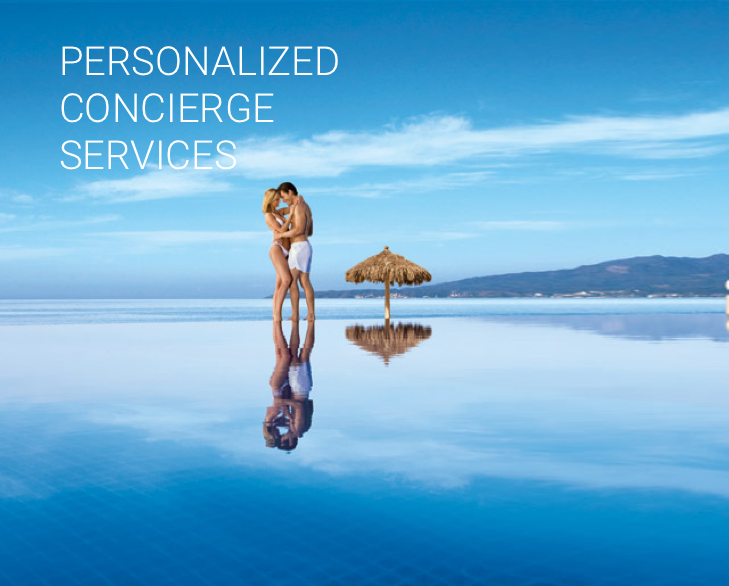 The outdoor spaces provide the comfort for large groups to celebrate and have fun and relax, with amazing amenities that include a private infinity pool, the unique stone oven and amazing pergolas that will provide endless opportunities to create memories of island moments. 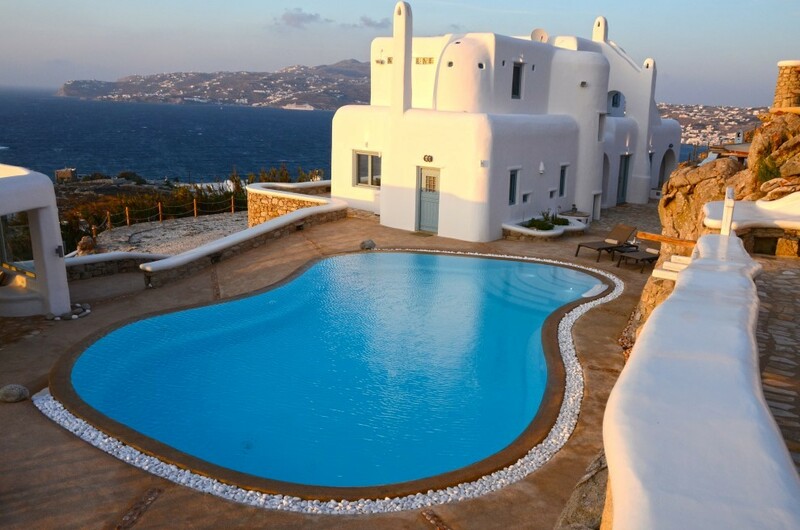 The impeccable beauty of the Villa Erossea is provided for its privileged guests. 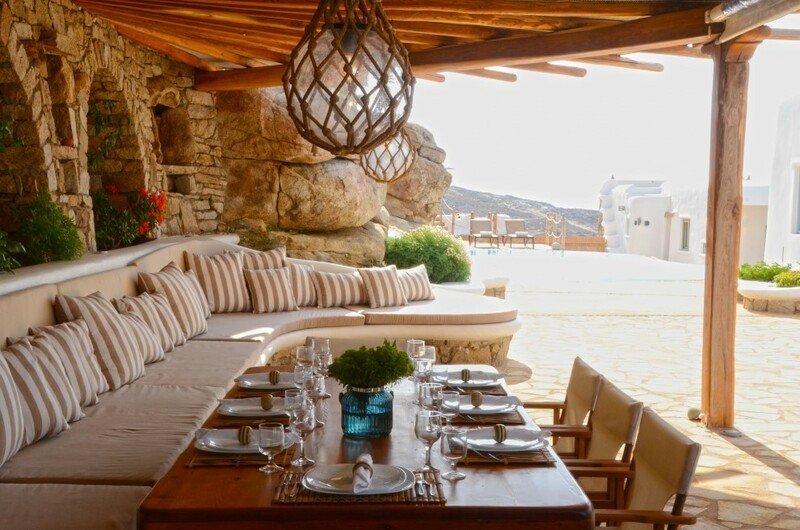 The villa is the perfect summer retreat for families or groups of friends that are craving for luxurious moments in a natural beauty environment, close to the town of Mykonos and other beaches with crystal clear waters.